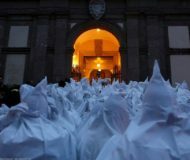 Easter Events in Sorrento and Amalfi Coast. An event became a tradition for the citizens of Piano di Sorrento, which began in 1984. 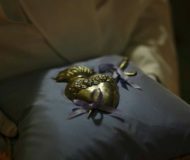 Description: An event became a tradition for the citizens of Piano di Sorrento, which began in 1984. 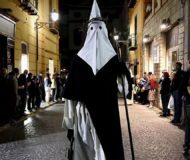 Holy Week in Sorrento and the Sorrento Peninsula stands out in the world for its processions, a deeply felt tradition by locals that attracts thousands of tourists every year. 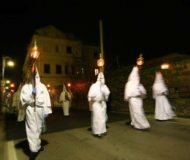 Description: Holy Week in Sorrento and the Sorrento Peninsula stands out in the world for its processions, a deeply felt tradition by locals that attracts thousands of tourists every year.